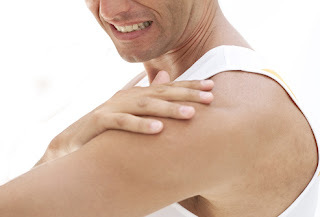 Mesotherapy can help treat bursitis and other sports injuries. When you begin to offer mesotherapy to your patients and clients, you will find that many of them are coming to you in search of pain relief for trauma or chronic discomfort due to sports injuries. One of the main uses of mesotherapy all across the world is in the area of sports medicine, where musculoskeletal problems such a sprains, muscle strain, spinal disorders, tendinitis and arthritis are treated on a routine basis. The main benefit of using mesotherapy to treat the pain of sports injuries is that it spares the athlete the liver damage and nerve damage that are so often the side effect of pain killers that are prescribed. Mesotherapy works by treating the muscle soreness and inflammation due to injuries and for many this substantially speeds up recovery time. Mesotherapy can also provide the person with a relaxation response that also helps alleviate pain. How effective is mesotherapy for relieving the pain of sports injuries? Quite a few people experience relief in two to three days, others may need six or seven weekly treatments before they feel better. After that some people may need to visit you for a “tune-up” injection every four to six weeks. It is also important to note that mesotherapy may work better for people who have chronic pain, rather than acute pain. You might also want to note that some people are allergic to B vitamin injections and numbing agents. Mesotherapy for sports injuries also works better if your patient does them in conjunction with other therapies. Of course, knowing precisely how to handle the injector and what mesotherapy medicines to give in each situation is what you will be learning in the Pinewood Toronto mesotherapy courses that I offer. The more accurate you are with the depth and position of the injector, the better your patient will heal. Mesotherapy's Uses In Sports Medicine and I think this is good too for the people to have good care during the time of sports.